The Miami Hurricanes didn’t have a great season this year, finishing 7-6 while going 4-4 in conference play. Still, there was no reason for anyone to think that any huge changes needed to be made after Mark Richt’s third season in charge, which followed 9-4 and 10-3 campaigns. Richt himself apparently believed otherwise. The university just sent out a statement announcing that Richt has decided to retire from coaching football at age 58. 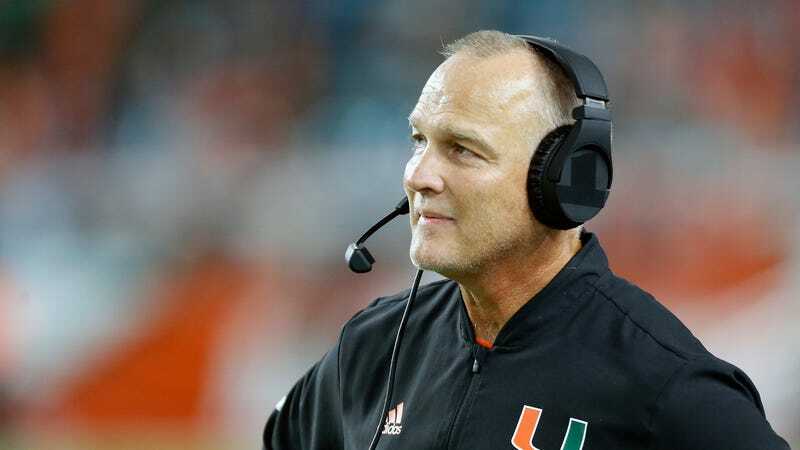 The Hurricanes will now have to find a new coach quickly and do what they can to salvage this year’s recruiting season, which was already off to a bit of a rough start under Richt. Next season could be a tough one in Miami.